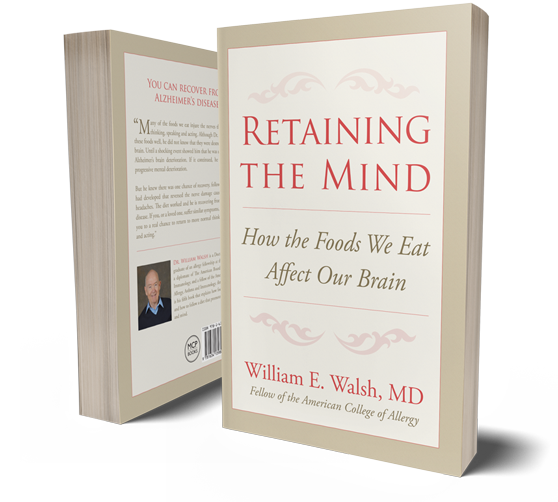 With great pleasure I announce that my book, “Retaining the Mind” is now published. The name clearly states the purpose of the book, bringing a failing mind back to life. “Retaining the Mind” is a self-help book. In it I tell you how I reversed my own symptoms, symptoms that are typical of Alzheimer’s disease. You can use this same information to halt or reverse the ravishes of dementia, whether of Alzheimer’s disease or other dementias. I tried to keep the information as simple as possible, avoiding technical jargon. Although simple, the knowledge it contains can rehabilitate a human being lost to the fog of dementia. In the next months, I intend to return to this blog to discuss information that will help you better understand this method of treatment and any new studies that further define dementia and diet. Until then, enjoy the book and I wish you good health and happiness.